If a loved one has survived a stroke, you are likely filled with relief, as stroke is the fourth leading cause of death in the United States. But despite the stroke not being fatal, recovery can often feel like the start of an uphill battle. Depending on the severity of the stroke and how long blood was blocked from the brain, it may take months or even years to regain functions. Because the brain was deprived of oxygen, and brain cells may be severely damaged or lost, it is very common for stroke survivors to lose cognitive and physical abilities. Establish a fun regimen. A physical therapist will likely assign the stroke survivor repetitive tasks to practice. Repetition is key to improving motor skills, but variety is also important to keep the brain engaged and increase retention. Try inventing games, for example, flipping a coin. Heads could mean rotating the arms in wide circles; tails could mean holding a stretch for 60 seconds. Let them sleep. Not only is it very normal for stroke survivors to sleep a lot, but it is vital to recovery. During REM sleep, the brain gets a chance to turn short-term memories about muscle movement into permanent memories. It's wonderful for survivors to sleep directly after practicing rehabilitation exercises as a way of "downloading" the skills. Monitor moods. Post-stroke depression is very common. Remastering basic tasks, especially those that are essential to physical independence, can be emotionally difficult. Relearning skills is frustrating and can feel hopeless. If your loved one seems to be having trouble controlling his or her emotions or seems increasingly despondent, seek out a mental health professional. Take care of yourself. You can't successfully help others unless you're mindful of your own health. Eat a nutritious diet, exercise regularly and stay on top of your regular doctors' appointments. If you don't have a primary care physician, find one at mygbmcdoctor.com. GBMC offers a number of resources for stroke survivors, including the Center for Neurology, the Gilchrist Services Support Our Elders Program, Yoga for Stroke Survivors, and The Center for Rehabilitation Medicine. In addition, you may be interested in referring your loved one to a stroke support group. A brief list is included below for your reference. Remember progress, not perfection! How should I choose an SPF level? Any SPF between 15-50 is recommended. A sunscreen with at least SPF 15 will block 90% of the sun's harmful rays. With SPF 50, almost all of the dangerous rays will be blocked, but SPFs of 50+ are no more powerful than 50. Is using makeup that contains an SPF sufficient? It will be effective, but you can't expect it to work for you all day for the purpose of sun protection, even if it is still working as makeup. When out of the sun, reapply a sunscreen every two hours and allow at least 30 minutes for it to fully absorb into your skin. What is the difference between physical and chemical sunscreen? Physical sunscreens put a reflective UV barrier on the skin. The most common physical barriers are zinc oxide and titanium oxide. These can often leave a white-ish cast on the skin. Chemical sunscreens are absorbed into the skin and use chemicals to absorb the UV light, rather than block it. Both are effective; it's a matter of personal preference. Is it better to use a spray or lotion sunscreen? Though it may be easier and more convenient to use a spray sunscreen on squirming kids, it is not recommended for small children who can't hold their breath during application. It can irritate their airways if inhaled. Additionally, it can be difficult to tell if you've missed an area. Lotion sunscreen is a good choice because it's easier to tell where you've applied it, and the act of rubbing it in may mean you're being more thorough. Should I choose a natural/organic sunscreen, or is store brand ok? The most important thing is to protect your skin from UV rays, so any type of sunscreen is better than none at all. Make sure your sunscreen is labeled "broad spectrum" to ensure it protects against UVA and UVB rays. There has been concern based on animal studies that some of the chemicals used in sunscreens could have harmful effects. More research is still needed to determine if any of the concerns are applicable in humans. When is it safe to start using sunscreen on babies? Sunscreen is not recommended for infants under 6 months of age. The best sun protection for babies is a complete lack of sun. If your baby must be outdoors, stay in the shade and make sure he or she is wearing full-coverage clothing made of tightly-wound fibers. Hold the item of clothing up to the sun; if you can see through it, it is not sufficient for sun protection. What should people with darker skin tones know about sun protection? Regardless of how dark your skin tone is, you need to safeguard yourself from the sun's dangerous UV rays because of the cancer-causing and aging effects. Use sunscreen and sun-protecting clothing every time you're outside. Talk to your primary care provider if you have questions about sun safety and preventing skin cancer. If you have a concern about melanoma or possible sun damage, your doctor can refer you to a dermatologist if needed. If you don't already have a primary care physician, visit mygbmcdoctor.com to find one near you. The warm spring weather has finally arrived, yet some of us are still coughing and sneezing. But are those coughs and sneezes allergies or signs of a common cold? One way to differentiate between the two is how long the symptoms persist: Colds last only about 3-14 days. 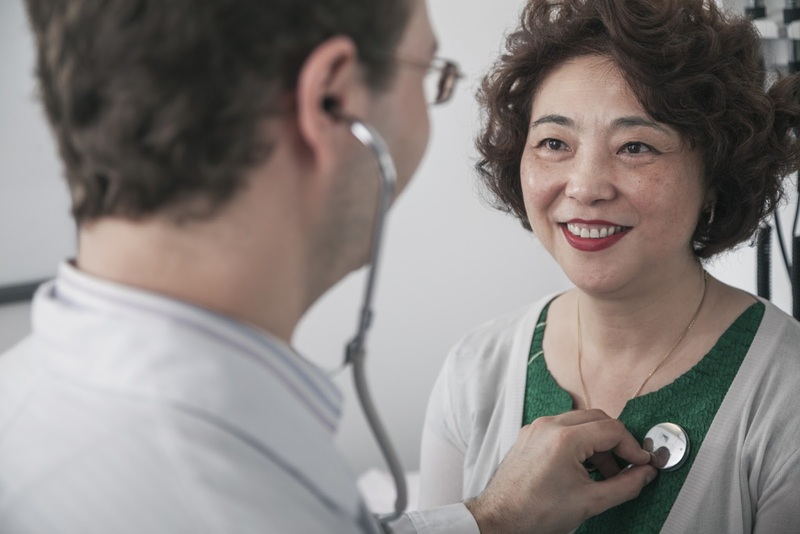 If your symptoms last longer and happen around the same time each year, your primary care physician can help you determine if they are allergy related. When allergens such as dust and pollen enter your body, your immune system attacks them the same way it would attack a cold virus. The body creates chemicals like histamine to fight off the allergens, which causes symptoms to develop. Depending on the allergy, these symptoms may include sneezing, runny nose, hives or rashes and itchy, watery eyes. Avoid exercising outdoors at dawn and dusk. These are the times pollen levels are at their highest. Prevent pollen from entering your home by keeping the windows closed and taking your shoes off before coming into the house. Wear a mask or handkerchief when doing yardwork to reduce the amount of allergens that you can potentially breathe in. Wash your hair before bed. This can prevent allergens from making their way to your pillow. As for preventing colds, hand washing cannot be emphasized enough. Avoid touching your face, especially around your eyes, nose and throat as they are the main entryways for a cold virus to get into your system. Be sure to frequently clean and disinfect commonly-touched household surfaces such as light switches, door knobs and TV remotes. Talk to your primary care physician if you need help determining whether you have allergies or a cold. If you are diagnosed with seasonal allergies, he or she can also help you decide how to treat them so you can enjoy spring, rather than suffer through it. If you do not already have a primary care physician, visit www.mygbmcdoctor.com to find one today! As it does every year, GBMC HealthCare celebrated National Nurses Week from May 6 - 12 to recognize its talented nurses. 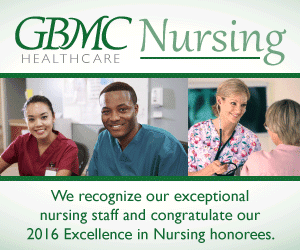 This year, GBMC had extra cause for celebration; Baltimore magazine named six members of GBMC's nursing staff as 'Top Nurses of 2016' in its Excellence in Nursing issue! Chosen by their peers from among thousands of nurses throughout the Baltimore region, these six outstanding professionals were selected in five different specialties and represented 11 percent of all winners. Honorees include Justine Kellar (Management/Nurse Executives), Shannon Isaac (Orthopedics), Joseph Henry (Pediatrics-Neonatal), Laura Clary (Women's Health), Sherry Pearson (Women's Health) and Erin Batton (Hospice/Home Health/Palliative Care). A complete list of all nurses recognized can be found online at www.baltimoremagazine.net/top-nurses-2016. According to GBMC President and CEO John Chessare, MD, “Nurses and nursing support technicians are the backbone of GBMC. They spend the most time with patients and are critically important members of the healthcare team. Their untiring work at the bedside and in improving patient safety and redesigning systems to improve care is remarkable.” GBMC is proud of its exemplary caregivers and this truly deserved recognition. Click here to read what the honorees have to say about GBMC. Preheat grill pan or oven broiler (with the rack 3 inches from heat source) on high temperature. Combine ingredients for marinade and divide between two bowls (one bowl to marinate raw meat and one bowl for cooking and serving). Mix the beef, chicken, onion, tomatoes and red pepper cubes in one bowl of the marinade and let sit. After 5 minutes, discard remaining marinade. 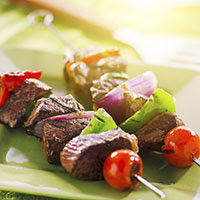 Place one piece of beef, chicken, tomato, onion, and red pepper on each of the 12 skewers. Grill or broil on each of the four sides for 2-3 minutes or until completely cooked (to a minimum internal temperature of 145 F for beef and 165 F for chicken). Spoon most of the second half of the marinade over the kebabs while cooking. Serve three skewers per serving. Drizzle the remaining marinade on top of each kebab before serving (use only the marinade that did not touch the raw meat or chicken). Recipe retrieved from Keep the beatTM recipes: Deliciously healthy Meals provided by the U.S. Department of Health and Human Services: NIH. Paul Celano, MD, FACP, has been named Medical Director of the Sandra & Malcolm Berman Cancer Institute at GBMC. A graduate of Mount Sinai School of Medicine in New York, New York, Dr. Celano has been a medical oncologist at GBMC since 1993 and was previously Chief of the Division of Medical Oncology in the Sandra & Malcolm Berman Cancer Institute as well as Assistant Professor of Oncology at Johns Hopkins University School of Medicine. 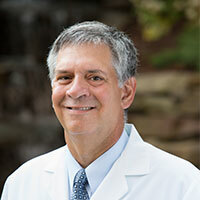 During his tenure at GBMC, Dr. Celano has acted as the oncology representative on multiple hospital committees, assisted with developing the oncology clinical trials program, established clinical relationships with Johns Hopkins School of Medicine and served in leadership positions at the national level in numerous oncology and research organizations. Consistently recognized as a Top Doctor by Baltimore magazine, Dr. Celano is also active in legislative affairs and policy as they relate to cancer care in Maryland and the nation. Dr. Celano succeeds Dr. Gary Cohen, who retired in January 2016 after serving as Medical Director of the Berman Cancer Institute for 25 years. Mary Louise Z. Collins, MD, has been appointed Chairman of the Department of Ophthalmology. She succeeds Charles P. Wilkinson, MD, who retired in December 2015 after more than 20 years leading GBMC's Department of Ophthalmology. After earning her medical degree from Georgetown University and completing residency at Wills Eye Hospital and fellowship at Children's National Medical Center, Dr. Collins began her GBMC career in 1993. She is the Director of Pediatric Ophthalmology and Strabismus, the Director of Resident Education for the Ophthalmology Residency Program and has been the consulting ophthalmologist at The Maryland School for the Blind since 1993. In her new position as Chairman, Dr. Collins plans to expand and improve access to primary eye care services on GBMC's campus, support comprehensive and subspecialty ophthalmology medical staff members and advance the academic and teaching mission of the Department. She will continue her clinical practice in pediatric ophthalmology and adult strabismus. Annual gifts from a spouse or children on Mother’s Day usually involve a combination of cards, flowers, jewelry and maybe breakfast in bed. This year, loved ones could give their mom a different kind of present – the gift of health and well-being. With the start of National Women’s Health Week (Sun., May 8 -- Sat., May 14) coinciding with Mother’s Day weekend, GBMC physicians want to remind women to make their health a priority, understand what steps they can take to improve their health and schedule their annual well-woman visits on National Women's Checkup Day, Mon., May 9. 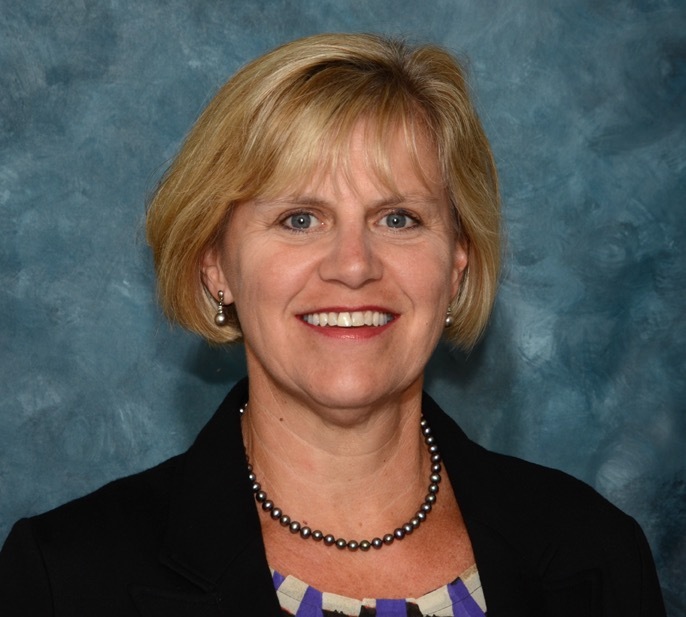 Robin Motter-Mast, DO, Chair of Family Medicine at GBMC, says it’s no secret that mothers generally make the daily tasks of work and family life their main concern and put the needs of their spouses and children above their own. Studies have shown that women have taken on many additional roles and responsibilities, both in the workplace and at home over the years but also face a plethora of health concerns as they age, mostly having to do with hormonal issues (menopause and perimenopause), which can increase a woman’s risk of heart disease, cancer and osteoporosis, along with other conditions ranging from fatigue to hot flashes and low libido. Blood pressure screening. Biennially, women 18 years of age and older should have their pressure checked. Normal blood pressure is 120/80. “If it's greater than 120/80, then more frequent screening is necessary,” says Dr. Motter-Mast. Cholesterol check. Women 45 years of age and older should have their cholesterol screened if they are at an increased risk for coronary artery disease. Pap smears and pelvic exams. These should be performed every three years for ages 21-65 with cytology (conventional or liquid based) alone. This screening may be extended to five years for women ages 30 to 65 if a combination of cytology and human papillomavirus (HPV) testing is done. 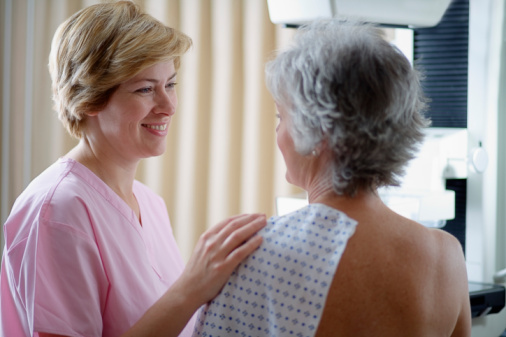 Mammograms and breast exams. According to the American Cancer Society, women ages 20 to 40 should have a breast exam at least every three years. After 40, the exam should take place annually. Others screenings include: bone density, blood glucose, colon cancer, human immunodeficiency virus (HIV), Body Mass Index (BMI), skin and dental. Along with health screenings, Dr. Motter-Mast adds that many vaccines can protect moms and their loved ones from serious illnesses such as the flu, HPV and Meningococcal diseases. Additionally, patients should consider the following vaccinations if they didn’t receive them as children: measles, mumps and rubella (MMR), varicella, Hepatitis A & B, the tetanus shot booster (Td or Tdap), which is very important for women who are pregnant or anyone who plans to be around a newborn or infant, and shingles for adults 60 years of age or older. Dr. Motter-Mast stresses that Mother’s Day is the perfect time to remind all the women in our families to schedule their yearly check-up or see a doctor about a health issue. “Mothers owe it to themselves to make their health their number one priority. The better a woman takes care of herself, the healthier she can be to take care of her family,” she adds. GBMC offers primary care for the whole family in a number of convenient locations throughout the Baltimore area. If you or a woman you love is in need of a primary care physician, visit www.mygbmcdoctor.com.